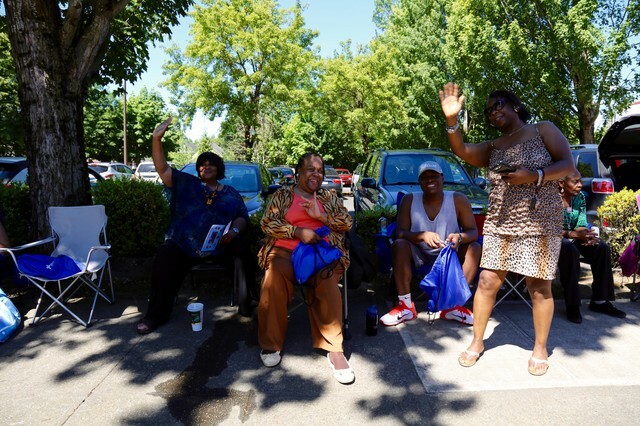 Residents wave as the Good in the Hood parade marched down Martin Luther King Jr. Blvd in Northeast Portland. 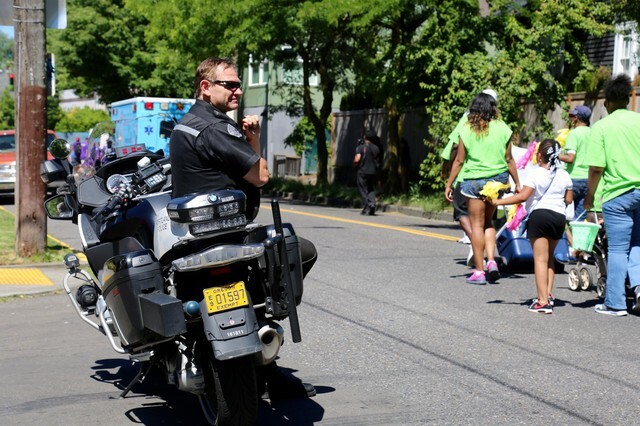 Good in the Hood Festival President Shawn Penney led the parade through Northeast Portland. , with references to the Ku Klux Klan. The letter named Penney specifically and threatened a “bloodbath” if the festival wasn’t shut down. Penney and his board decided that the festival would go on. This year’s Good in the Hood Festival had an increased security presence after racist threats were made against organizers. Northeast Portland resident Tyrelle Owens made 100 t-shirts with the phrase “I Am Shawn Penney” after the Good in the Hood Festival President was threatened in a racist letter.